Save money and buy direct from the clothes hanger manufacturer. Choose from our wide range of plastic, wire and wooden hangers all at low prices. To find out how to buy clothes hangers in just a few simple clicks read more about us. Buying hangers online direct from the clothes hanger manufacturer has never been easier. Order space saving stylish coat hangers to organise your wardobe in only a few simple clicks on hangers.ie. Also, checkout with PayPal Express in just seconds. In addition, we use PayPal servers to keep your credit card details secure. Choose to pay in either Euro or Sterling by visiting the currency tab on product pages. Or visit our currency page to switch currencies. Only need a few clothes hangers? No problem! Choose from handy pack sizes starting at just 10 for most products on hangers.ie. Also, other pack sizes include 50, 100 and box quantities. Simply select the pack size you need from the drop down options on each product page. Choose from a wide range of plastic clothes hangers, manufactured in our factory in Castlebellingham, Co. Louth, Ireland. hangers.ie is a trading name of Smallwares Limited. Established in 1936, we are also the only hanger company to manufacture plastic clothes hangers in Ireland. Cut out the wholesaler and as a result save money on coat hangers by buying direct from the manufacturer. Visit our shop page to browse our huge selection of plastic hangers. When you order from hangers.ie you are ordering high quality clothes hangers from the manufacturer. Also, we don’t import poor quality clothes hangers. You don’t want to take the risk of buying poor quality hangers that easily break or damage your garments. You want to order from a hanger company that is in total control of the production process. 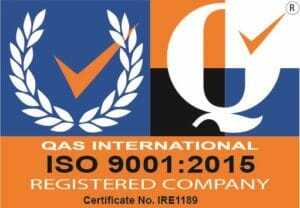 Our high quality production processes are ISO:9001 certified. Each year independent experts audit our quality control procedures to ensure that our factory meets stringent high standards. Looking for Wire and Wooden Clothes Hangers? Browse our large range of wire hangers and wooden hangers that we also sell. In addition, order wire hangers and wooden hangers in small packs starting at just 10. Also, order box quantities if you need more hangers. Order over €75 + VAT (or Sterling equivalent) on hangers.ie and get free delivery across Ireland and UK. As a result of keeping large stocks delivery is usually only 1 to 5 working days. Make ordering even simpler and faster by creating an account with hangers.ie. It takes only a few simple steps to set up an account. Keep your shipping address stored for future orders and also view your past orders on your account. Visit our My Account page now to create an account. The security of your credit card details is very important to us. We use the latest HTTP Secure technology to secure your transactions on hangers.ie. As a result you will see a secure padlock sign in your browser when visiting hangers.ie. In addition, we never store your credit card details on our own servers. PayPal servers capture and secure your credit card details. PayPal is the world’s leading payment site. Got a UK VAT Number? As hangers.ie is an Irish company we charge VAT to all customers in the Republic of Ireland. However, we don’t charge VAT to UK companies who give us their UK VAT number in accordance with EU legislation. Simply enter your UK VAT number during checkout when requested. Contacting us at hangers.ie is simple. Our offices are open Monday to Friday between 8am and 5pm except for bank holidays. Phone us from Ireland on 042 937 2106 or from UK on 00353 42 937 2106. In addition, you can even visit us in Castlebellingham, Co. Louth! Our modern factory and showroom is located only 5 minutes from Junction 15 of the M1 between Dublin and Belfast. Visit our Contact Us page for directions.